First of all rarity. M Coupes are rare cars to begin with, but if you’re one of the few and proud to own a sunroof-delete, you truly have something special. Second, the M Coupe was designed to be raced. Having a heavy glass panel on your roof raises the car’s center of gravity and takes away some structural rigidity. So if you plan to track or autocross your coupe or if you want your coupe to be more in tune with the intentions of it’s original design, go sunroof-delete. 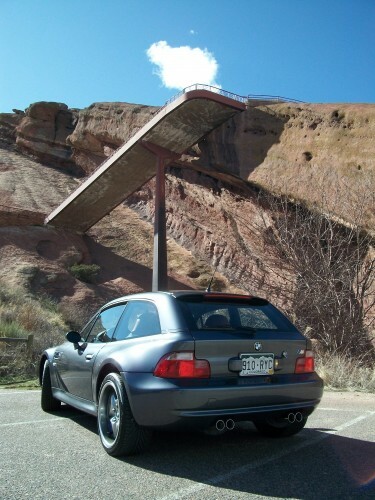 Third, the sunroof of the M Coupe only tilts, it does not open. It seems almost an afterthought by the designer (see #2 above). Fourth, the roof of a sunroof-delete coupe looks more clean. First, you dont’ like paying more for less. There seems to be a price premium on sunroof-delete coupes, and if not in price, they seem to sell faster. Many people don’t like paying more to not have something they typically have to pay more to have. Second, you like the open-air feeling in the interior. Third, you like fitting in. Personally, I think I’m neutral on the issue. I don’t think it’s a make it or break it issue in my own car purchase. I typically love having sunroofs in my cars. The reasons above are what evens things out. There’s something about having a car in a configuration you know there are less than 5 of. 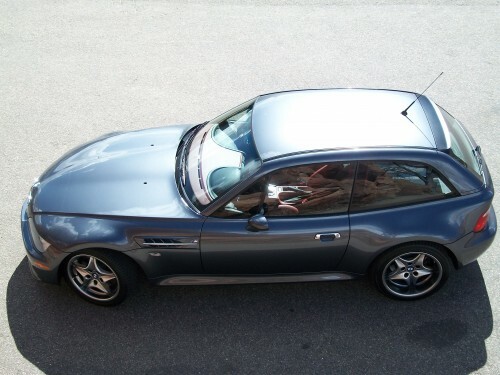 The 1999-2002 M Coupe is one of the most polarizing designs ever released by BMW. Both M Coupe lovers and haters will boast or disparage that it was designed by engineers not stylists. With nicknames like “Clown Shoe”, “Breadvan”, and “Elf Hearse” even the most serious M Coupe owner has to have a sense of humor. While it has many detractors styling-wise, you would be hard-pressed to find one complaining about the drive. I, for one, was immediately taken by the design when it was shown at the 1997 Frankfurt Motor Show. It was purposeful and curvy, striking yet classic, and caught my eye like few designs ever have before. Thirteen years later I think it has stood the test of time like few others. 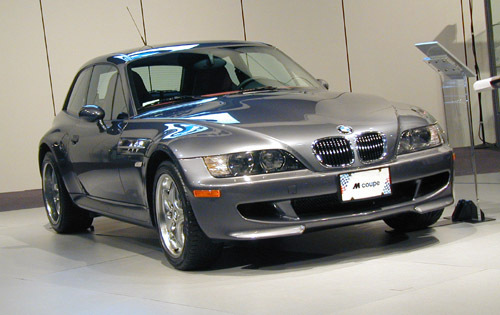 The M Coupe is styled so uniquely and without any of the design trends of its era that it looks just as modern today as it did then. When I find my perfect M Coupe, I don’t plan on getting rid of it through any means other than my will. I know because of its uniqueness, it will still be looking good many years in the future. In early 2001, a guidance counselor at my high school purchased a silver 2001 Z3 Coupe. It wasn’t an M, but still had all the curves I’d come to love. Each day driving up to the parking lot, I would look to see if it was there and would park accordingly. I always looked for excuses to walk by it. I had a chance to talk to Mr. Graham one day after track practice and he was surprised that I knew everything about his car. He promised one day he would let me drive it. Months later, when the weather improved, I got my chance. At the time, the only manual transmission I had ever driven was my grandpa’s pickup through an Iowa cornfield. In the days leading up to the “big day” I drove several of my friends cars just to refresh my skills, so I wouldn’t embarrass myself in the coupe. Well, it didn’t drive like my grandpa’s truck, nor any of my friends’ cars. While my friends Geo Metro took a firm right foot just to get it up and moving, I had to be light on the gas pedal in the coupe. I successfully pulled out of the school parking lot without an embarrassing stall. I turned on to the country road that ran away from the school looking for some wide open spaces. I babied the car for a while until we came to the end of the road and turned around. Then Mr. Graham told me to stop babying it and punch it. That was when I decided I had to have one someday. The Denver Auto Show in March 2001 introduced me to the color Steel Gray that was offered starting in 2001. While I liked the silver on Mr. Grahams’ car, Steel Gray was a much deeper color. It was also going to be more rare as it was only offered for two years. The 2001 cars also brought the 315hp S54 engine from the E46 M3. 1999 and 2000 cars have the 240hp S52 engine from the E36 M3. The topper was the display car’s black and Imola Red two-tone interior. I knew then I had found my dream car. While some might argue such an eye-catching car deserves an eye-catching color like Phoenix Yellow or Laguna Seca Blue, when I’m in the purchase for the long haul, I want a color I’m not going to get tired of. The excitement is in the design itself and the beautiful Imola Red interior. Since that time over 9 years ago, I’ve been in pursuit of this color combination. I always knew this color combination would be a challenge to find, only recently did I learn just how hard it might be. There are only 23 ever sold in North America in these colors. At this time, I’ve only seen four come up for sale. The first came up for sale while I was still in college and did not have the funds, nor the garage to store it in. The next popped up the day my son was born. Yes, I was looking for M Coupes from my wife’s hospital room…they were both sleeping. While it was a decent price, it was in Ohio. Some things will always be more important than any car, so I let it go in order to spend that important time with my family. It was soon sold. The next was listed on Christmas Eve 2009. At first I thought God had given me the perfect Christmas gift. Not only was it my colors, it had 18,000 miles and is a sunroof-delete (1 of only 2). The problem came when I saw the price…$59,995. A month later, the other Steel Gray/Imola sunroof-delete coupe came on the market, and this one was only 50 miles away. It seemed meant to be. It only had 7,000 miles and was showroom stock. And while a relative bargain, was priced at $49,500. It’s just my luck that the only two cars I had seen in years in the color combination I had pursued were priced $15k and $25k more than any other M Coupe currently for sale (but worth every penny). Both are still for sale, so visit my sponsors and help me buy one.